▶ SoldThis listing was sold on Mar 5, 2018 for the price shown here. 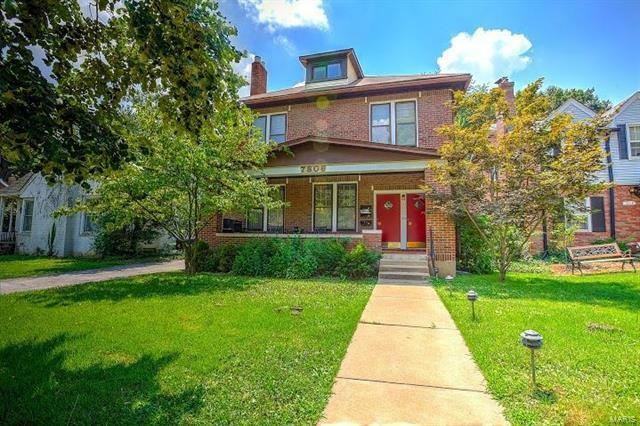 Located in University City this 3 unit apartment building has a massive 1400 sq.Ft. 1bed/1bath apartment on the first floor, recently renovated with granite counter tops, new kitchen cabinets and full appliance package, updated bathroom with designer tile floor and shower surround. Currently rent of $830 is far below market rent but is on MTM. The second floor is a large 2bed/1bath, full size washer / dryer hook up with a long term tenant, rent of $900, also on MTM, he wants to stay and sign a long term lease. The third floor is a small 1bed unit needing to be completed for occupancy, expected rent of $595. The property is located blocks from Starbucks and multiple restaurants on North Hanley and minutes from Downtown Clayton. First showing is Friday August 25th from 2-4. To schedule a showing call listing agent to set up a time.